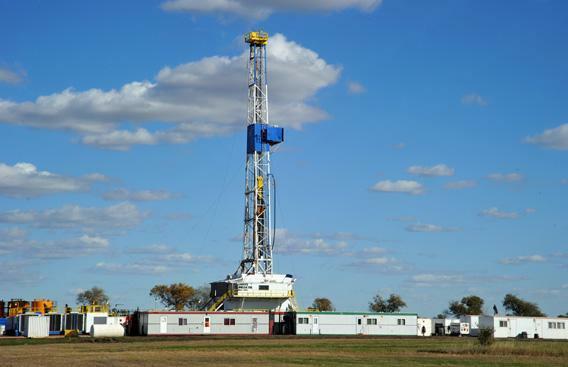 U.S. shale oil: Are we headed to a new era of oil abundance? Straight talk from geologists about our new era of oil abundance. Like swallows returning to San Juan Capistrano, every December some 20,000 geoscientists flock to San Francisco for the fall meeting of the American Geophysical Union. Slate readers have already heard about a presentation with a particularly eye-catching title, but for me some of the most thought-provoking news came in a prestigious all-Union session with the rather dry heading “Fossil Fuel Production, Economic Growth, and Climate Change.” (Search for it here.) This session dealt, in a hard-headed, geological, show-me-the-numbers way, with the claim that we are at the brink of a new era of oil and natural gas abundance. The popularity of the abundance narrative waxes and wanes, and its current ascendance comes primarily on the heels of a report by Leonardo Maugeri, a former oil-industry chief and currently a fellow at Harvard’s Belfer Center. When his cornucopian fantasy came out, I smelled a rat (or at least a not-too-deeply buried fish). But the International Energy Agency jumped on the bandwagon with breathless, and equally fishy, forecasts of the coming “Saudi America.” Most of the media swallowed the story hook, line, and sinker, with even the usually sober Economist rising to the bait. So what’s wrong with this story? Maugeri’s problems begin but don’t end with an arithmetic blunder so dumb (he compounded a percentage decline incorrectly) it would make even Steve Levitt blush. The geeky geological stuff discussed at the AGU session is more interesting and ultimately more damning. The geological considerations expose a number of common threads of faulty reasoning that pervade the current crop of starry-eyed projections of endless oil abundance. There are certainly huge amounts of oil locked up in shale formations worldwide. In the United States alone, the Bakken and Eagle Ford shales contain up to 700 billion barrels, and the Green River shale under Colorado, Wyoming, and Utah has a whopping 2 trillion barrels. However, only a tiny fraction of this total is recoverable. For Bakken (in Montana and North Dakota) and Eagle Ford (in Texas), which account for most of the current surge in U.S. oil production, the estimated recoverable fraction ranges from 1 to 2 percent. Though all of these deposits are loosely referred to as “shale oil,” Bakken and Eagle Ford oil is more precisely called “tight oil,” because it is actual, fluid oil that is trapped in the pores of shale, and it can be liberated by fracturing the rock to allow the oil to flow. In contrast, the hydrocarbon in the Green River shale is not really oil at all but a waxy substance that must be cooked at around 500 degrees Celsius to turn it into flowing oil. The technology for extracting oil from deposits like the Green River shale is far more challenging than what is required to tap into tight oil, and it has never been profitably implemented at any significant scale. There is thus no credible estimate of how much oil can be recovered from the Green River formation. At the high end of the estimates, predicted production from Bakken and Eagle Ford together amounts to perhaps a two-year oil supply for the United States at 2011 consumption rates. That’s significant but not a game-changer. Even if it were to prove possible to achieve production rates comparable to those of Saudi Arabia, that would only mean that we would deplete the resource faster and bring on an oil crash sooner. What would it take to ramp up production to such high levels? Technological developments have made it possible to tap into tight oil, but these are not the same kinds of technological developments that have given us ever more powerful computers and cellphones at ever declining prices. Oil production technology is giving us ever more expensive oil with ever diminishing returns for the ever increasing effort that needs to be invested. According to the statistics presented by J. David Hughes at the AGU session, we are now drilling 25,000 wells per year just to bring production back to the levels of the year 2000, when we were drilling only 5,000 wells per year. Worse, the days are long gone when you could stick a pitchfork in the ground and get a gusher that would produce for years. The new wells are expensive (on the order of $10 million each in the Bakken) but give out rapidly, as shown in the following figure from Hughes’ talk illustrating the typical production curve. Tight oil is headed for a Red Queen’s race, where you have to keep drilling and drilling and drilling just to keep your production in the same place. At several million dollars a pop, that adds up to a big annual investment, and eventually you run out of places to put new wells. The following figure, also from Hughes’ talk, shows that if you try to increase production by drilling wells faster, you just wind up running out of oil sooner. Current total U.S. oil production is about 6 million barrels per day. By way of comparison, Saudi production is currently running at 9.5 million barrels per day. To exceed Saudi production, new oil from tight-oil sources would have to more than offset declining production from existing wells. It is clear that even if we do manage somehow to temporarily exceed Saudi production rates, the party is not going to last very long. High oil prices may make it profitable to recover more oil from unconventional deposits, but ultimately physics rules. In his talk at the AGU session, Charles A.S. Hall pointed out that the energy return on investment—the amount of energy you get out of a well vs. the energy needed to produce the oil—has been getting steadily worse over time. As long as there is some net energy gain and some profit to be made, drilling may go ahead, but the benefits to the energy supply deteriorate at the same time as the collateral damage to climate (in the form of increased carbon dioxide emissions per barrel of oil produced) goes up. The market is not laying the foundations for an era of unending oil-based prosperity. The market is pushing inexorably toward investment in expensive technologies to extract the last drop of profit through faster depletion of a resource that’s guaranteed to run out. If we’re going to invest in expensive energy technologies, it would be better to pick long-term winners rather than guaranteed losers. The flaws in the abundance narrative for fracked natural gas are much the same as for tight oil, so I won’t belabor the point. Certainly, the current natural gas glut has played a welcome role in the reduced growth rate of U.S. carbon dioxide emissions, and the climate benefits of switching from coal to natural gas are abundantly clear. But gas, too, is in a Red Queen’s race, and it can’t be counted on to last out the next few decades, let alone the century of abundance predicted by some boosters. Temporarily cheap and abundant gas buys us some respite—which we should be using to put decarbonized energy systems in place. It will only do us good if we use this transitional period wisely. We won’t be much better off in the long run if cheap gas only succeeds in killing off the nascent renewables industry and the development of next-generation nuclear power. Does all the new American oil give us yet another way to fry ourselves? At 0.1159 metric tons of carbon per barrel of oil, the oil in Bakken and Eagle Ford amounts to a carbon pool of 81 gigatons, and the Green River shale adds up to 232 gigatons. Given that burning an additional 500 gigatons of fossil fuel carbon is sufficient to commit the Earth to a practically irreversible warming of 2 degrees Celsius, these are scary numbers. However, if oil analysts such as those speaking at the American Geophysical Union are right, almost all of this oil will remain inaccessible. In that case, coal—which certainly contains enough carbon to bring us to the danger level and probably much beyond—remains the clear and present threat to the climate, and the fight to leave as much coal as possible in the ground remains the front line in the battle to protect the climate. This does not mean the threat posed by the carbon pool in unconventional oil can be completely ignored. The case against oil abundance seems persuasive, but I’d hate to bet the planet against the ingenuity of future oil engineers, which is why I feel that some rearguard actions that inhibit development of unconventional oil are warranted, notably in the case of the Keystone XL pipeline, which taps into Canada’s Athabasca oil sands. This description is eerily similar to the last-gasp scenario described in Chris Nelder’s article on the oil endgame, “The Last Sip.” Whales were driven to the brink of extinction before petroleum replaced whale oil, and we may well fry our planet—and bankrupt ourselves while doing so—before we’re finally forced to kick the fossil fuel habit. It will be hard to muster the resources to develop replacements for fossil fuel energy if we wait until both the economy and climate are in ruins. We are in for a hard landing if we don’t use our current prosperity to pave the way for a secure energy and climate future.